New for spring 2012 and off the back of the success of the a Quickstrike version that featured OG colours, the team at Nike Sportswear bring us these two new inline colourways in one of their most anticipated hybrid silhouettes, the Huarache Free 2012. The original Air Huarache released back in 1991 and has since become one of the most sought after silhouettes from Nike’s back catalogue and one that we along with many others have been calling for a reissue for a long time now. Like the OG, the Huarache Free 2012 with its ‘Swoosh less’ design fits like a glove thanks to the stretch grip neoprene upper, and whereas the original Nylon toe box has been replaced with a breathable mesh, the lightweight runner benefits from the addition of the super comfy Free 5.0 sole unit resulting in the perfect combination of past and present Nike styling and technology. 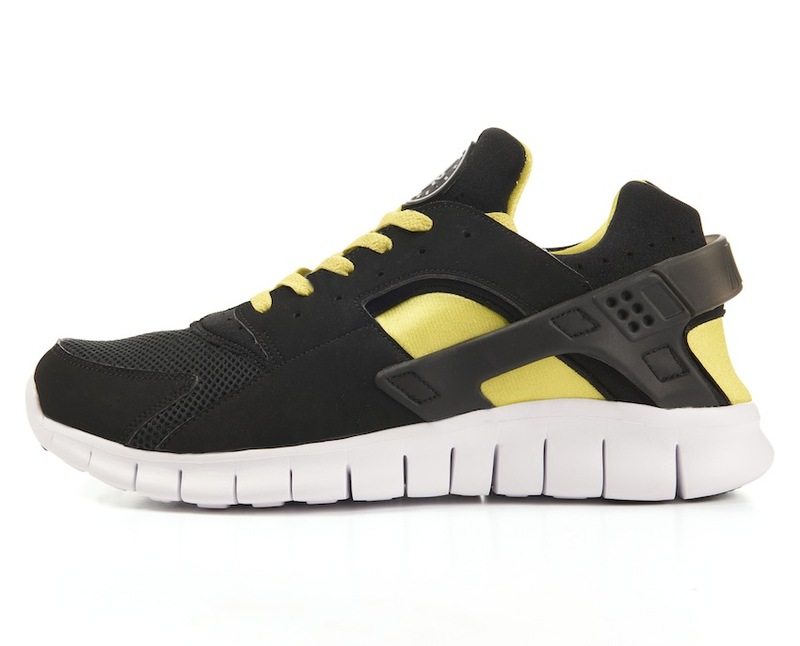 Both colourways of the Nike Huarache Free 2012 will be available here at size? with the black/yellow-white colourway set to land in stores and online this week and the grey/blue-white scheduled for February.